Jim "Blacky" Pryor - President of Black Star 231 Corp.
Jim Pryor is a lifetime resident of the State of Missouri in the United States. A widower, he has two grown sons, one of whom is the company's field engineering/operations manager. Self employed in the energy business for over 30 years, his experience and expertise encompasses virtually every aspect of upstream energy operations. From 1977-1984 Pryor served as President of Energy Technology Corporation, a Missouri Corporation. The company brought energy related products to consumer markets. The company was sold in anticipation of the formation of Pryor Oil Co., Inc. In 1984 Pryor founded Pryor Oil Co., Inc, a Missouri corporation, and has served as Chief Executive Officer since that time. The company's primary focus has been on new field discoveries. Since its inception, Pryor Oil has drilled more than 300 wells in four states. Nearly all of the company's drilling prospects were originated by Jim Pryor. Pryor Oil was recognized by the Petroleum Technology Transfer Council, funded by the United States Department of Energy, for outstanding engineering, design and operations in permeability augmentation with cross-linked polymers for secondary oil recovery projects (see the PTTC Newsletter article). Pryor Oil has an extensive history of wildcat oil and gas discoveries in the Mid-Continent as well as the Southeastern United States. The company logged one of the largest documented initial open-flow wells (500 barrels of oil per hour) in the history of the Eastern United States, at a wild well blow-out in eastern Tennessee in 2002. From 1999 to 2002, Pryor wells in north central Tennessee recorded initial open flow rates of 30 to 130 barrels of oil per hour. In 1995 Pryor founded Black Star 231 Corp., a Kansas Corporation, serving as company President since that time. Black Star 231 is an upstream oil and gas exploration and production company with U.S. operations primarily in the state of Kansas. Black Star 231 has embraced cutting edge technologies such as 3-D seismic, seismic attribute processing, and horizontal completion with coiled tubing. From 2004 to present, Black Star 231 has completed geological, geo-chemical, and remote sensing studies to identify prospects for first time application of 3-D seismic technology to identify prime candidates for discovery of reserves previously overlooked and neglected. 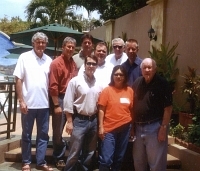 In 1996 Pryor identified extensive oil and gas prospects in Nicaragua and other Latin American nations. In keeping with the wildcatting spirit that has driven his previous endeavors, he concentrated his efforts in nations with no producing oil or gas wells. This approach requires completion of thorough initial basin geological studies before targeted prospective locations can be identified. Pryor supervised or performed field mapping of surface bedrock formations, as well as structural interpretation from high altitude stereo-pair photographs. Utilization of these techniques led Pryor to the discovery of potentially rich oil and gas prospects in countries without any current production. Concessions were negotiated for these prospective areas. One such prospect is the on-shore Sandino Basin of Western Nicaragua. Through an arrangement with a Canadian company, two frontier wildcat discovery wells have been drilled on the prospect. Analysis of data from the discovery wells substantiates world class oil and gas reserves in the two new frontier discoveries. When production begins, these will be the first producing wells in Nicaragua. Pryor has identified two other world-class Latin American prospects which are also expected to show substantial reserves. Negotiations are being completed to test these prospects with seismic surveys and drilling. Estimated combined producible oil reserves of these prospects are as much as 3 billion barrels of oil equivalent. In 2006, Pryor served as chief geological and engineering consultant to Bridgestone/Firestone Tire Company, to evaluate company owned land for oil and gas potential and supervise the drilling of exploratory confirmation wells. The company sought to determine availability of natural gas suitable for use in its manufacturing process. This confidential project was completed by Pryor on time and under budget. 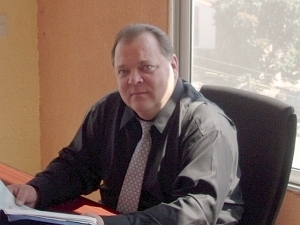 As company CEO, Jim Pryor develops or approves all drilling prospects, supervises land and legal work, and designs drilling and completion operations as well as production and secondary recovery operations. Though he doesn't hold formal degrees in engineering and geology, Pryor has earned the respect and admiration of those who do, with his 30+ year record of accomplishments and proven experience in all aspects of exploration and production of oil and gas.